Blumaan Cavalier Clay provides a lot of texture with a high hold and a matte finish. This clay is made for men with medium to thick hair. This product nourishes and fortifies your hair with natural oils, amino acids and proteins. The hold is strong enough that reapplying extra product during the day is not necessary. Restyling is easy because the Cavalier Clay does not harden up. A great product for looks with a lot of texture and hold or messy hairstyles. Rub a bit of Blumaan Cavalier Clay between palms and apply it in your hair. Use your fingers for more messy and loose hairstyles or a comb for a neat and tight look. You're reviewing: Blumaan Cavalier Clay 74 gr. Paraffinum liquidum, beeswax, ricinus communis (castor) seed oil, bentonite, hydrogenated castor oil, VP/VA copolymer (firming agent), water (aqua), kaolin, ethylhexyl stearate, silica, ceteareth-25, glycerin, PVP (firming agent), PEG-7 glyceryl cocoate, PEG-16 macadamia glycerides, jojoba esters, fragrance (parfum), propylene glycol, butylene glycol, phenoxyethanol, tocopherol, hydrolyzed rice proteins, hydrolyzed quinoa, ethylhexylglycerin, titanium dioxide, simmondsia chinensis (organic jojoba) seed oil, persea gratissima (organic avocado) oil, helianthus annuus (organic sunflower) seed oil, dog rosa canina (organic rose hip) oil, carthamus tinctorius (organic safflower) seed oil, argania spinosa kernel (organic argan) oil, sodium PCA, sodium lactate, arginine (L-arginine), aspartic acid (L-aspartic acid), PCA, glycine, alanine (L-alanine), serine (L-serine), valine (L-valine), threonine (L-threonine), proline (L-proline), phenylalanine (L-phenylaline), isoleucine (L-isoleucine) & histidine (L-histidine). 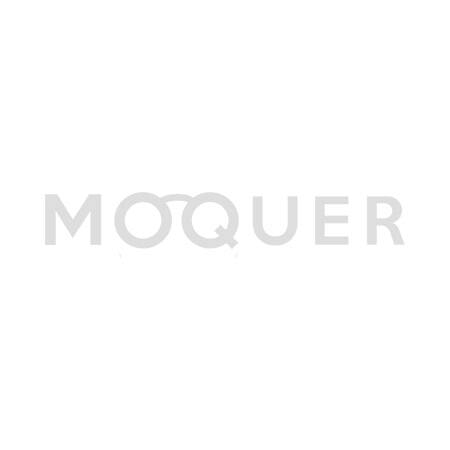 Moquer Looks With Blumaan Cavalier Clay 74 gr. Join our competition!